Olive oil (optional). You can also use Pam spray that has no calories. 1/2-1 cup spinach. Raw or frozen. This is a really basic thing you can cook in a few minutes for breakfast, or even lunch. You can even add different spices, and just use egg whites. I personally don’t see the problem in eating the yolk but it doesn’t matter either way. This is just really healthy and the spinach adds extra flavor and vitamins. You just have to whisk the eggs and spinach together and then fry them like you usually would. 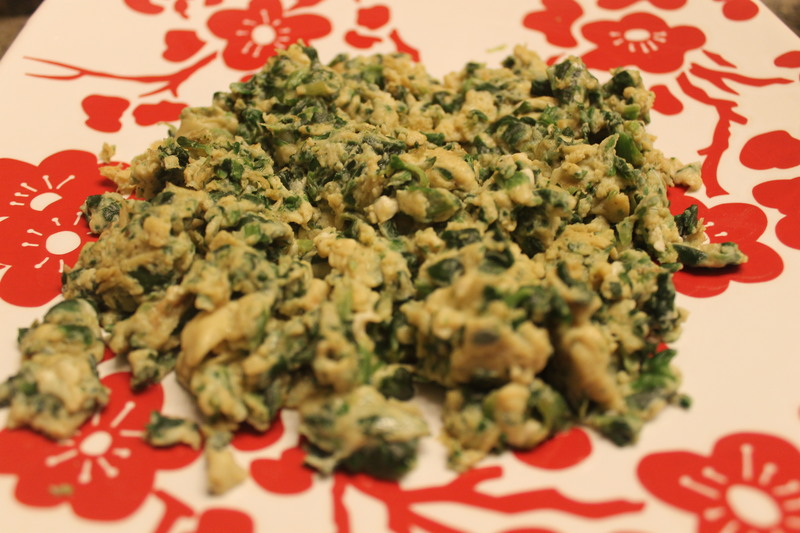 I prefer to use frozen spinach because it adds a better consistency to the eggs. Raw spinach takes times to really cook down and mesh with the egg. Frozen spinach also still contains all the vitamins that raw spinach does, and it’s more convenient. « Actions speak louder than words.